HUNGARORING, HUNGARY - We’ve all been there, haven’t we? The moment you realise the yardstick against which you’re held against is the overachieving older sibling, who isn’t just in the same school, but happens to excel in both sports and academic work. There’s little to fret about if you’re endowed with similar God-given talents, but even then, there’s nothing more annoying than living in the shadow of a legacy that isn’t your own, especially when you’re a scrappy young’un looking for attention and hoping to make a mark in school. 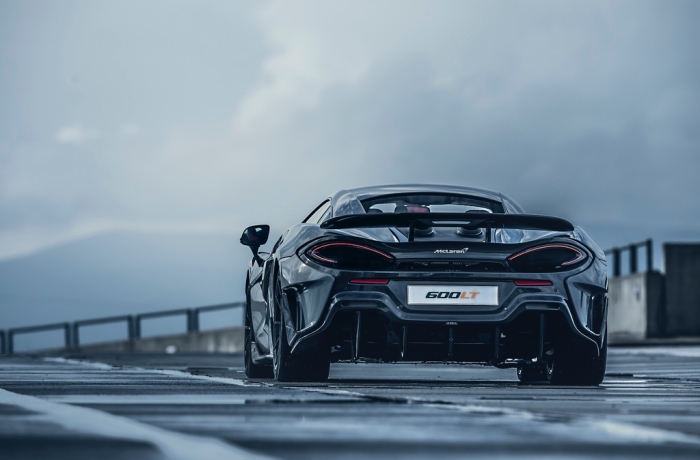 With such a thoroughbred pedigree, it’s little wonder the 600LT has cultivated a rowdy, anti-establishment side to its personality. However, we can’t complain, because a rebel adds colour to any family, especially one with as storied a lineage as the ‘Longtail’. 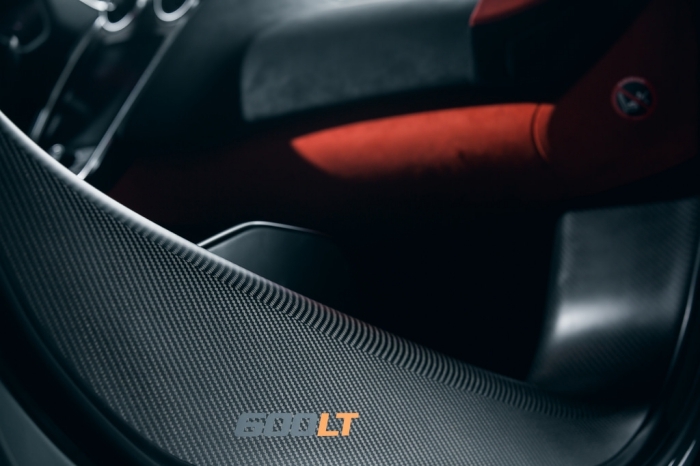 We had the chance to flog the 675LT Coupe around the Sepang Circuit some years ago, and that remains a memorably visceral drive to this day, but at an eye-watering S$1.6m (then) for the 675LT Coupe, no units were ever registered in Singapore. To put this in perspective of some other performance heavyweights then, a regular 650S was in the S$1.2+m region, a 458 Speciale was just under S$1.2m before COE and options, and the 991.1 GT3 RS, just under S$1m on the road. 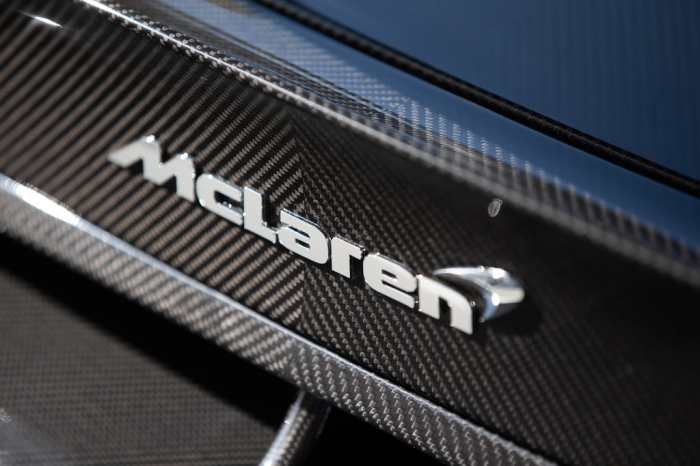 This time around, McLaren’s prices in Singapore have been properly rationalised to compete against the established sportscar pantheon. 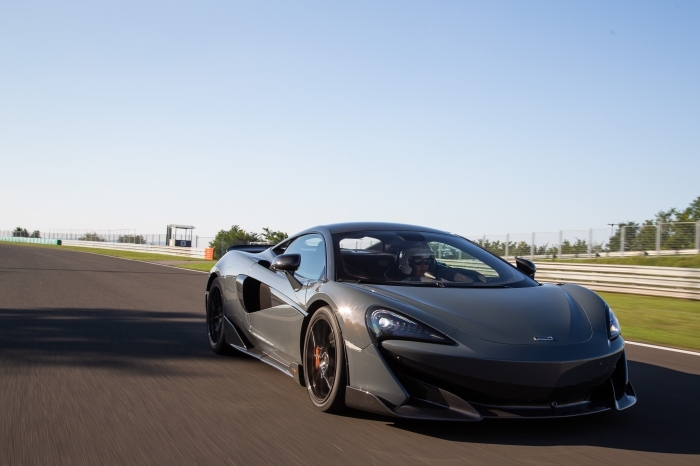 Not that long ago, the 570S ‘baby’ McLaren nudged S$1m (with some costing a little more with options), but a pull-back sees the 600LT starting at S$819k before COE and options, or almost S$40k cheaper than the original base price of the 570S! 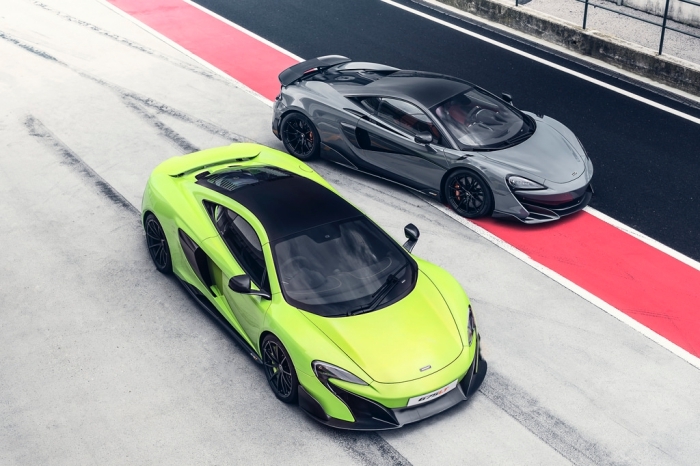 The 570S Coupe’s price has correspondingly dropped to S$698k before COE and options, as has the 720S (the 650S’s successor), which now starts from S$990k – properly rationalised, as we were saying, especially with the 488 GTB starting from S$985k. 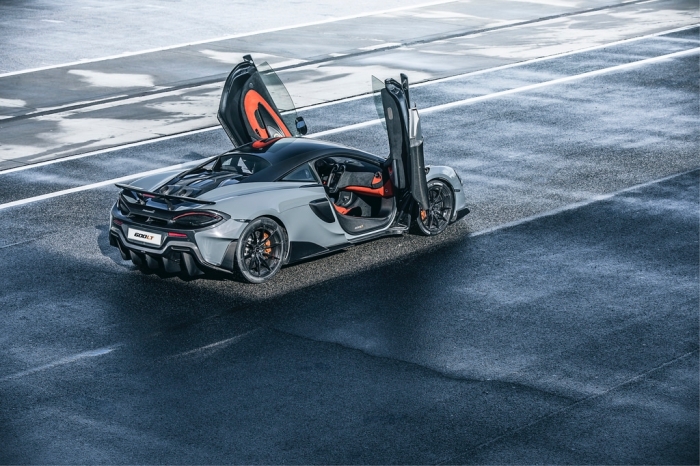 This puts the 600LT right smack in 991.2 GT3 RS money (or 911 Turbo/Turbo S, if that better rocks your boat). 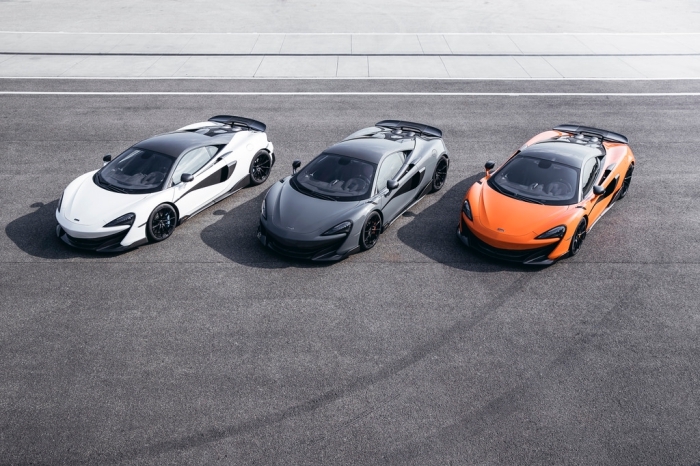 Although McLaren is, and always has been a blue-blooded member of supercar royalty, residuals have been hard-hit since the brand was first launched here, but it’s now finding its price footing to be competitive against its rivals, which hopefully, it has with the current crop of cars. 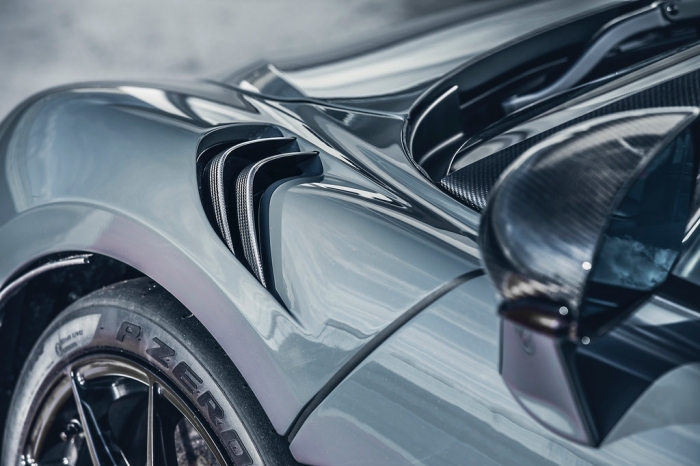 With the 911 GT3 RS, you know what you’re getting into – Porsche is predictable that way – but it’s hard not to be intrigued by the 600LT’s roguish charisma, superstar looks, crazy top-mount exhaust tailpipes (that can be incited to shoot flames! 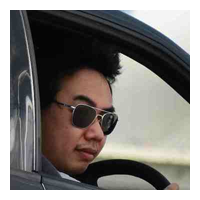 ), and most importantly, scintillating driving fun. It’s funny, but we don’t have the same hang-ups with McLarens being turbocharged as we do the other brands. 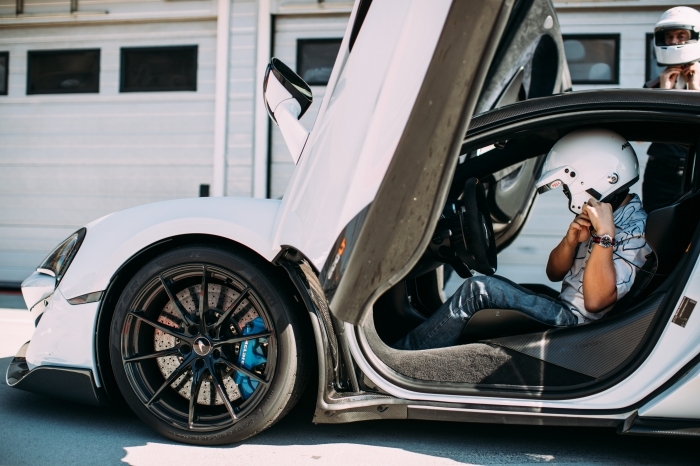 I guess a large part of the reason is, since the ‘rebirth’ of the brand with the MP4-12C, it’s always been force-fed, so there isn’t that same poignant loss we experience contemplating the 488 becoming turbocharged for instance, especially after a long tradition of screaming, high-revving naturally-aspirated engines. 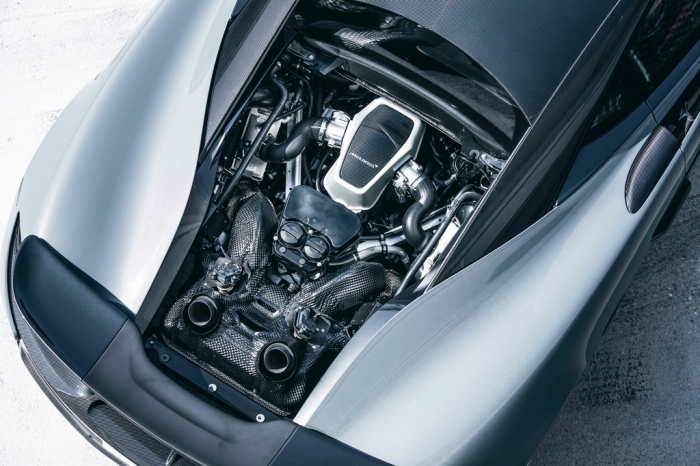 In the 600LT, the twin-turbo’d 3.8-litre V8 has been tuned to deliver 592bhp (or 600PS) and 620Nm, with 0-100km/h dispatched in 2.9secs and a top speed just shy of 330km/h. 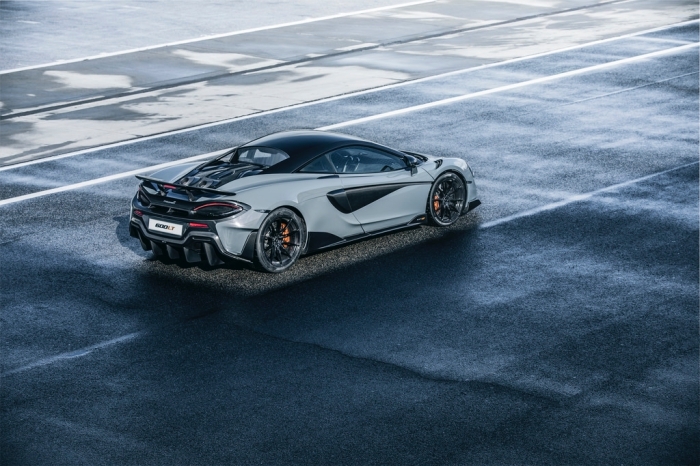 Seems impressive enough, but it is in the 0-200km/h timing that sees the 600LT coming into its own, as its 8.2secs trumps even the 911 GT2 RS’s 8.3secs, which is no mean feat considering the McLaren costs half a million dollars less. 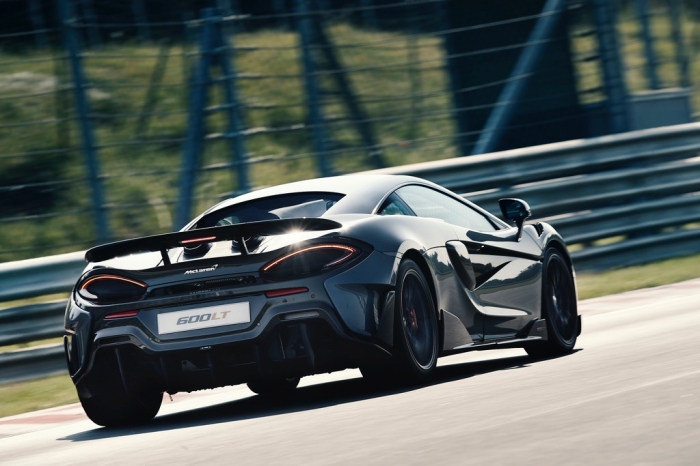 Like all the best focused driving machines, McLaren has applied the tried-and-tested formula to the 600LT – weight-loss, aggro aero, a smidgen more power and tweaked chassis for feelsome, more engaging dynamics. Notice we haven’t mentioned Ring times, although that seems to matter a lot to the folks who prefer to talk about what their cars can do, or the Top Trumps set of petrolheads... or even Honda and Porsche apparently. 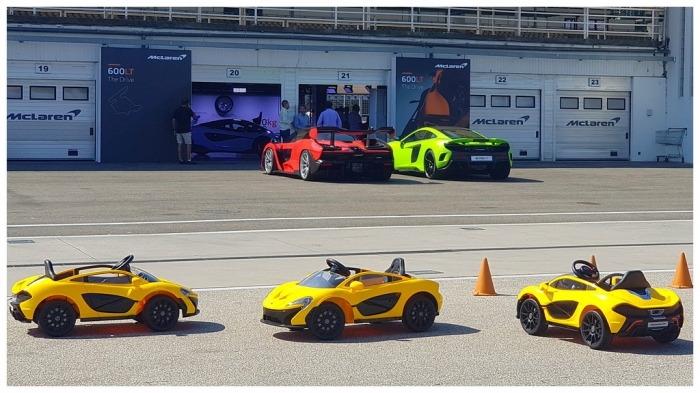 The 600LTs are the stars of the day – even the pair of Sennas and a solitary 675LT have been relegated out back with McLaren’s kiddie-play cars. The cabin is no-nonsense and all-focus, yet manages to look pretty tasty with the Alcantara and carbonfibre trim, especially with the optional Senna super-lightweight bucket seats in place, which is part of a cost-optional Clubsport package. 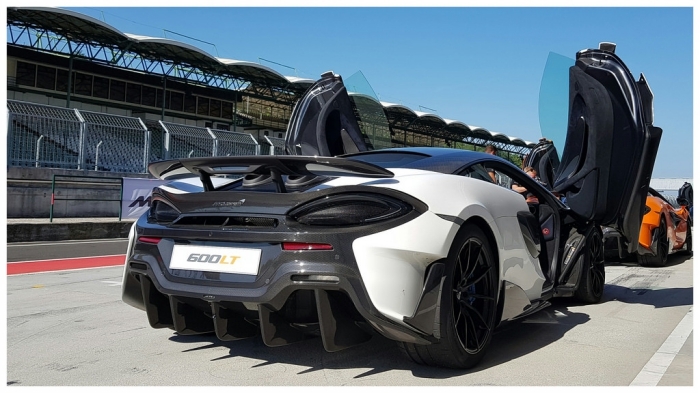 Compared to the 570S, the 600LT’s weighs-in at 1247kg dry, with total weight-loss tallying up to a magical 100kg (it can even be a little over 100kg with some cost-optional components), with the largest contributions coming from the seats, wheels, exhaust and suspension; deleting the air-con saves 12.6kg, but we can’t see that as a working solution for Singapore! 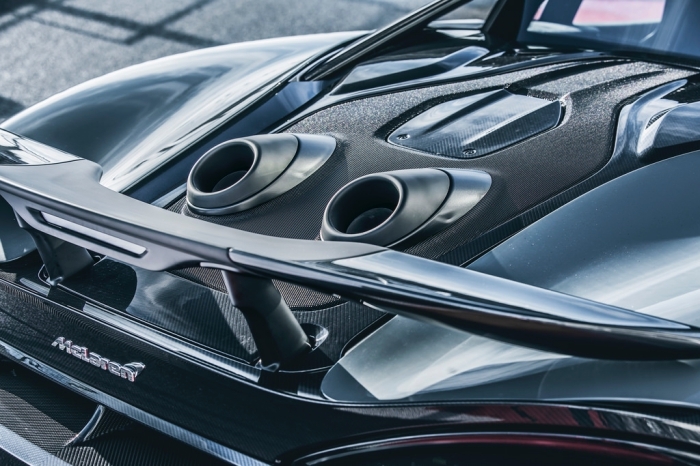 The controversial top-exit exhaust pipes are functional first, funky second; with less plumbing used, it saves weight and reduces back-pressure, and has also been designed to work with the aero and heat management measures. 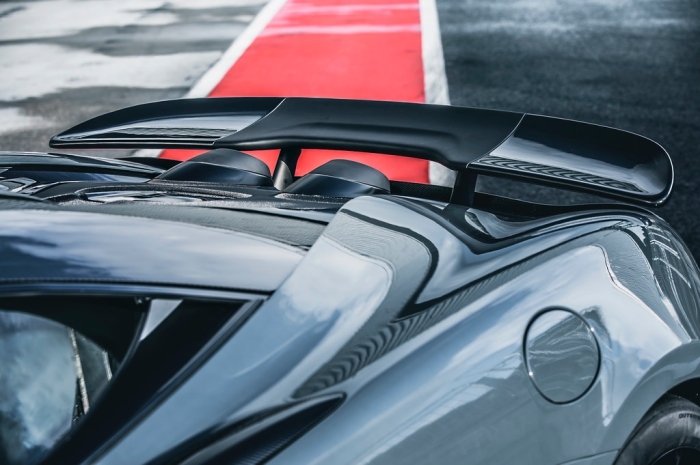 With McLaren’s legendary attention to detail, the centre of the fixed rear spoiler is ceramic-coated so it will withstand repeated ‘blasts’ of flame from the tailpipes! 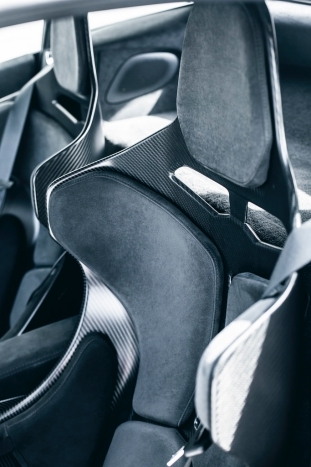 Trademark Monocell II carbon tub aside, the 600LT also uses a lot of carbonfibre panels, which includes front and rear bumpers, the roof, front fenders and side-skirts, amongst others. 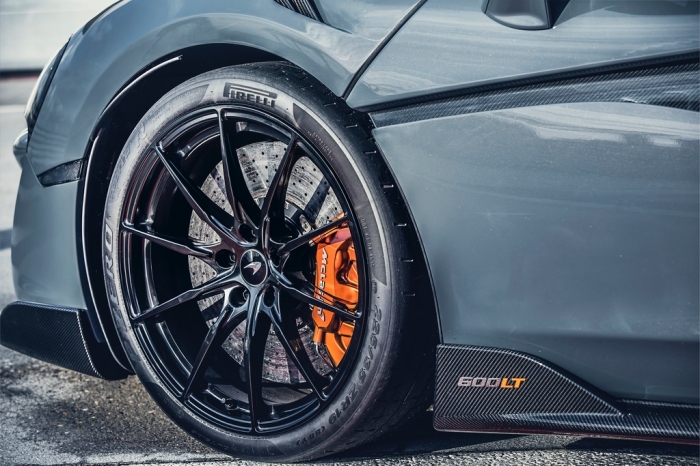 It’s not called ‘Longtail’ for no reason either, because it is 47mm longer at the rear than the 570S, which works with the 10mm wider front track and lowered ride height to create a well-balanced and progressive dynamic package. 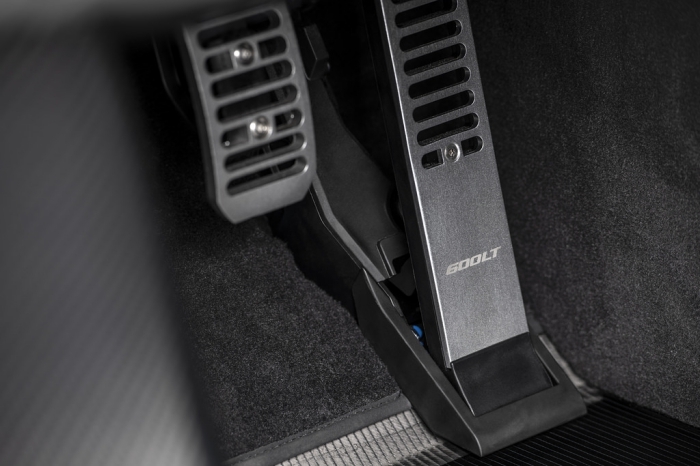 Both the suspension and braking components of the 600LT are hand-me-downs from the Super Series 720S, but the scrappy 600LT makes them its own, and there’s never the feeling the 600LT is struggling to fit into shoes that are too big for its performance. 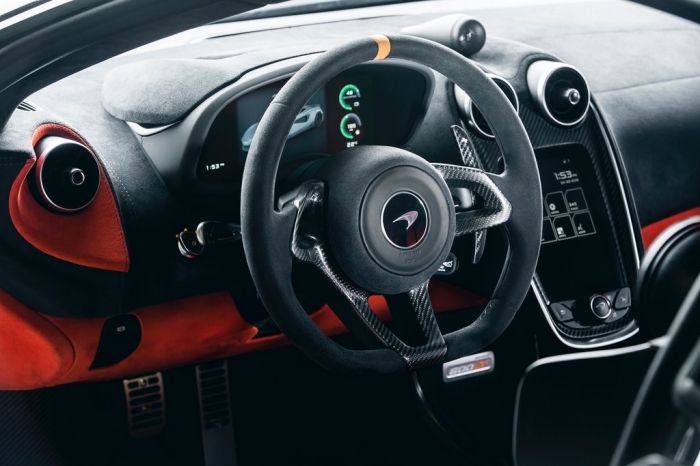 McLaren’s system of launch event track drives is straightforward – instead of the usual mother-duck-style convoy where the pace could be determined by the slowest driver in the group, a pro-driver rides with you in the car, and gives you proper go-faster tips; naturally, this also means overtaking is possible under the right conditions. 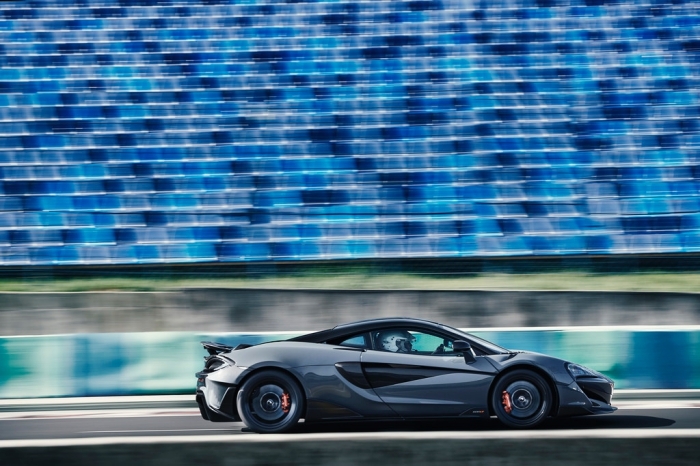 There’s no nancying about and the 600LTs ran flawlessly despite repeated attacks of the Hungaroring. 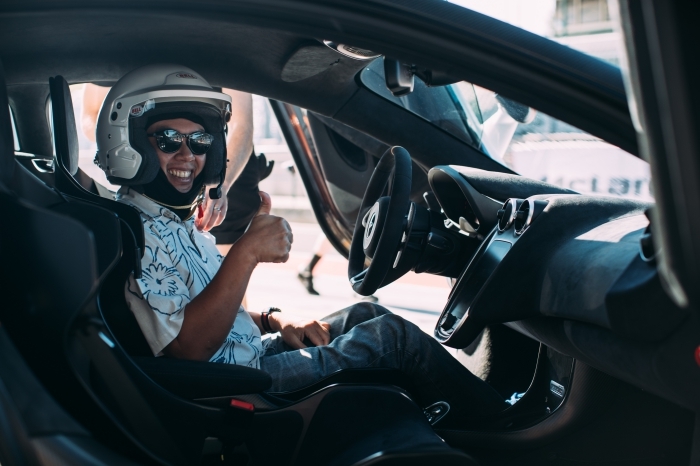 The 4.381km circuit isn’t so much about outright speed because there are only a few short straights that you can enjoy quick bursts of speed in. 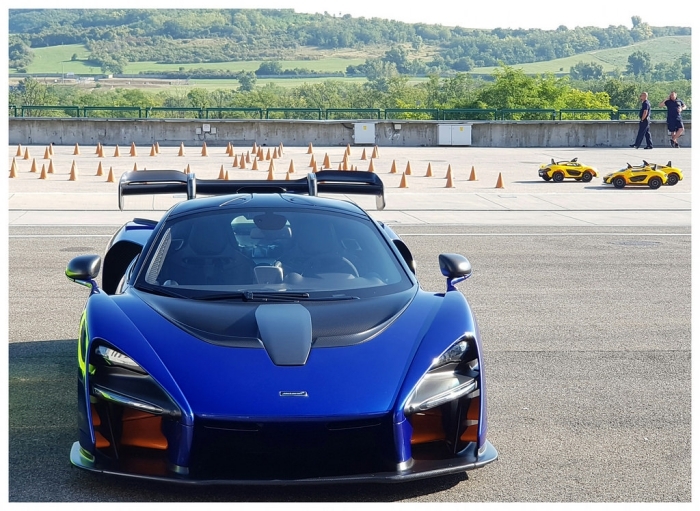 However, it is devilishly technical, and gave us the chance to inflict the 600LT on its medium- and high-g corners, if only to enjoy the breathtaking manoeuvrability and throttle adjustability of the car, as well as the ‘feelsome’ precision and weighting of its steering. 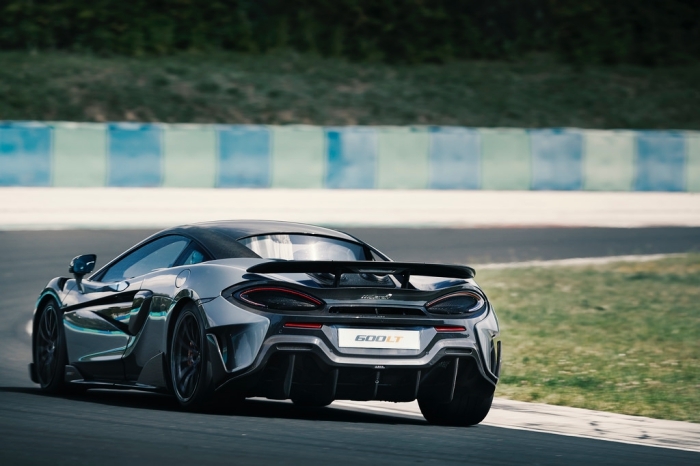 With orientation laps conducted in the 570S to ‘learn’ the circuit, we hit the ground running with the 600LT, as opposed to wasting precious lap time feeling our way around a new track – important because our drive time with the car was only on-track. 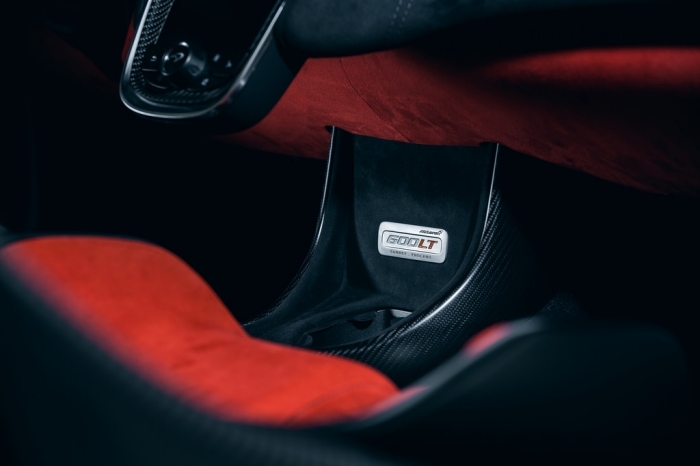 We like how the 600LT’s performance is fast and furious like a rebel unleashed in a mosh-pit, but more importantly, also raw and emotionally stirring in a manner those dealing with teenage angst at home will be all too familiar with – too many brands these days focus on the first half, not the second, but it’s the second that gives a sportscar personality. 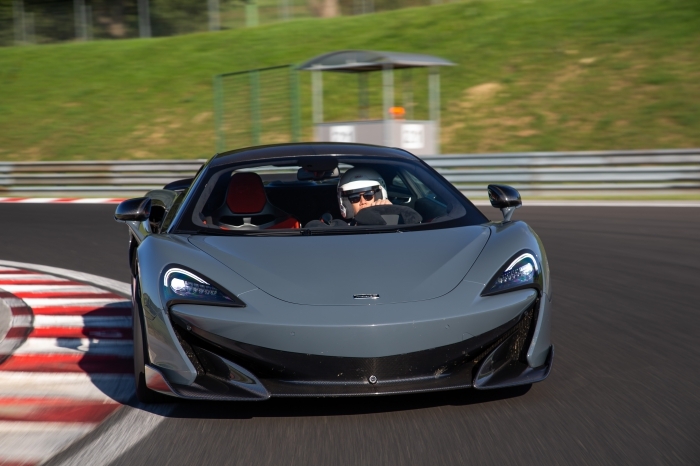 You don’t just point and squirt with the 600LT, but it’s tuned to be so sensitive to miniutiae you feel every nuance of the tarmac through steering wheel and seat of pants to appreciate you’re dancing with a willing partner, not just leading something inert. 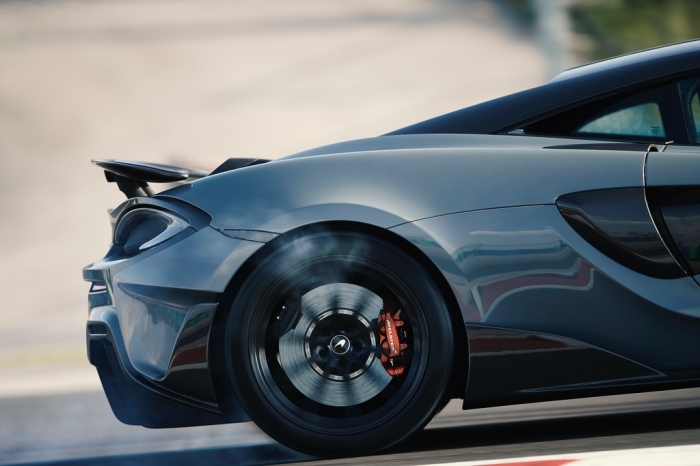 It reacts and responds with feeling and can be driven as precise, or as rowdily as you like – the weighting of the steering, brakes and even gear-shifts are well-considered to connect man and machine on an intimate, almost spiritual level, and it’s with such familiarity that you gain the confidence to attack the track. 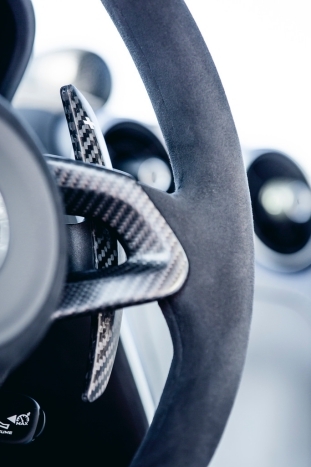 This is the sort of detail that appeals so much to us petrolheads and it’s something we can never get enough of. 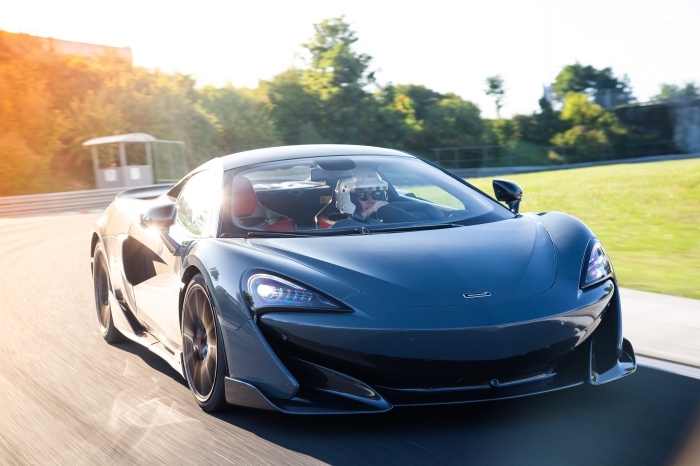 However, such sensations can only come about thanks to the like-minded folk at McLaren, which is why the 600LT’s combination of old-school feel in a modern sportscar makes it such a compelling drive to us. 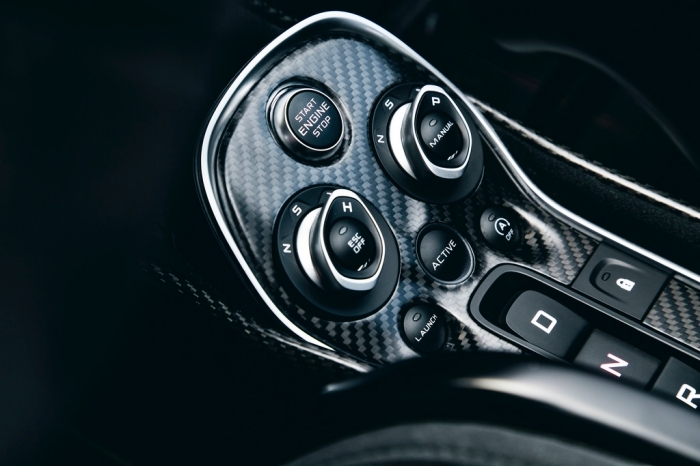 At this price point, have a think about which other sportscar gives you the 600LT’s combination of performance and true supercar pedigree (in terms of both looks and lineage), and its appeal quickly becomes clear. 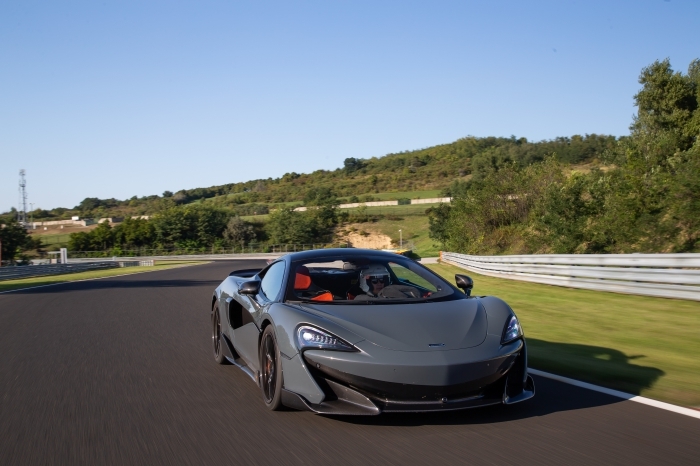 The 600LT may draw technical influence from heavyweights like the Senna, 675LT and even the 720S, but it’s very much its own person and far greater than the sum of their parts, so it’ll never need to hide in the shadows of its big brothers.